Calling all coffee connoisseurs, the Coffee Academïcs in Hong Kong are giving you the exclusive opportunity to try the world’s most expensive coffee. Coffee lovers may want to get themselves down to Hong Kong if they can so that they can get their hands on this luxury coffee. Or alternatively, they could just have a look on somewhere like The Full Moon Cafe for some more affordable, yet just as tasty (probably) options. Hacienda La Esmeralda Geisha Cañas Verdes Coffee broke the record at the Best of Panama auction last month, when 100-pounds sold for an extraordinary US$60,100. Hong Kong’s coffee aficionados have gotten their hands on 7kg of the existing 45.5kg, enough to serve 300 cups to discerning coffee drinkers. The premium coffee will be launched at the Coffee Academïcs TaiKoo Shing outlet on the 12th of October before being distributed across their four venues. Guests will be able to purchase the beans either in packets or as part of two limited edition kits. 15g of roasted Esmeralda Geisha 601 will be available for HKD$488 or 50g of green Esmeralda Geisha 601 for HKD$988. 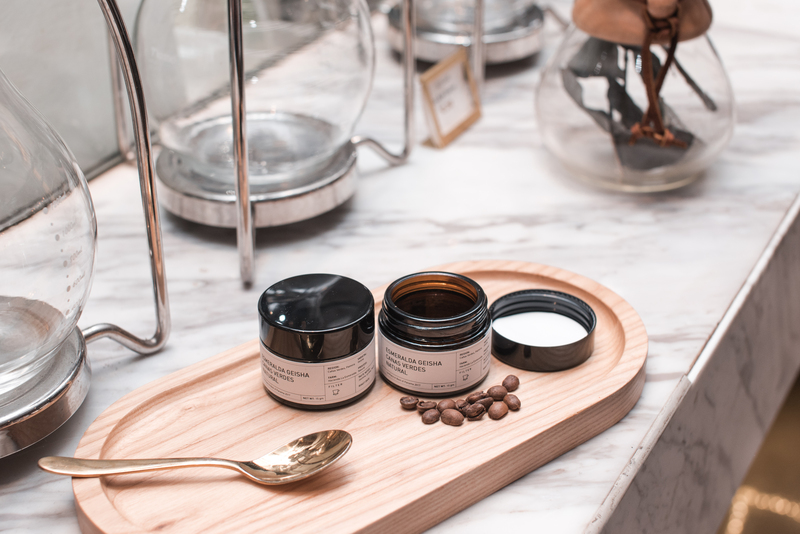 Serious coffee buffs are invited to choose between two kits; one featuring a wooden box with a kinto, filter papers and a jar of 601 coffee beans for HKD$2500 (Kit A) and the other consisting of a 601 scented candle, a t-shirt and, of course, a jar of 601 coffee beans for HKD$1000 (Kit B). Customers can pick from a number of options to ensure they get the very best brew possible from the world-class beans. Need your café fix ASAP? The Coffee Academïcs recommend that you meet with one of their skilled coffee trainers to learn how best to brew or cup your 601 beans. Consider yourself a proficient coffee craftsman already? Feel free to use the available equipment in store or take your beans home to brew in comfort. Registering your spot at the Coffee Academïcs website is essential. If you can’t make a session, don’t stress, the packets and kits will be available throughout the whole of October, dependant on stock. Customers can also pick up a cup of the brew in stores for HK$400. Want to take the experience one step further? The Coffee Academïcs will also be hosting a number of 601 coffee brewing workshops for guests to perfect their barista skills. Tickets are HKD$988 and can be purchased here.